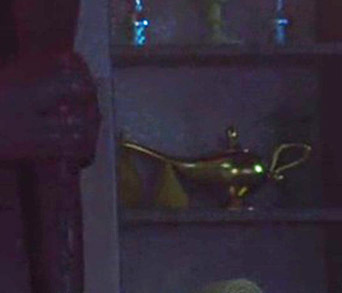 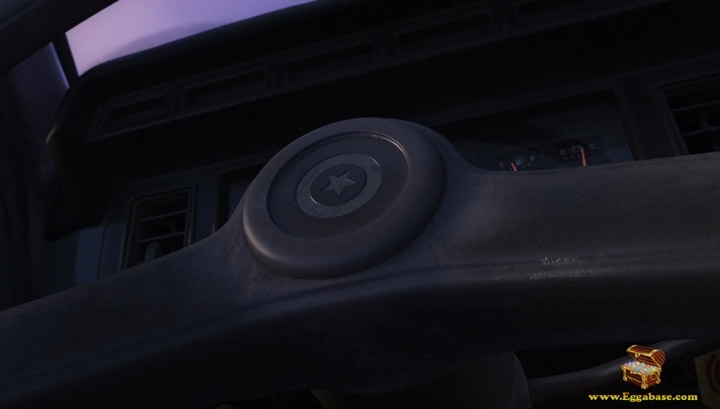 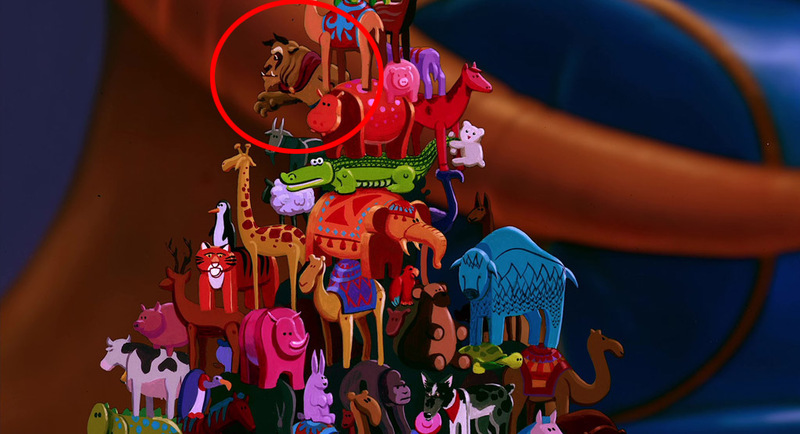 This easter egg appears very early in the movie. 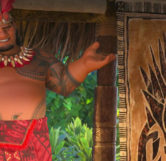 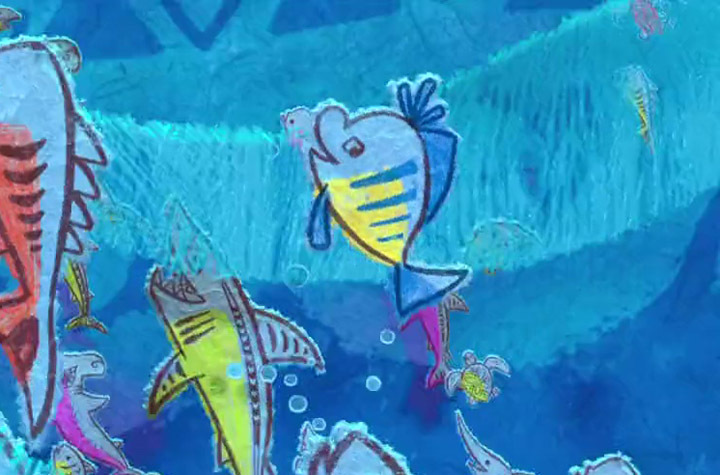 In the beginning of the movie when Moana’s grandmother finishes telling the story of Maui to the village children, the chief (Moana’s father) interrupts and assures the children that there are no monsters. 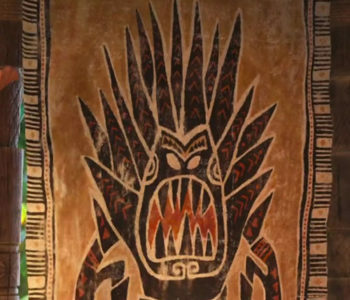 As he says, “There are no monsters” he accidentally reveals a number of monster tapestries around the hut. 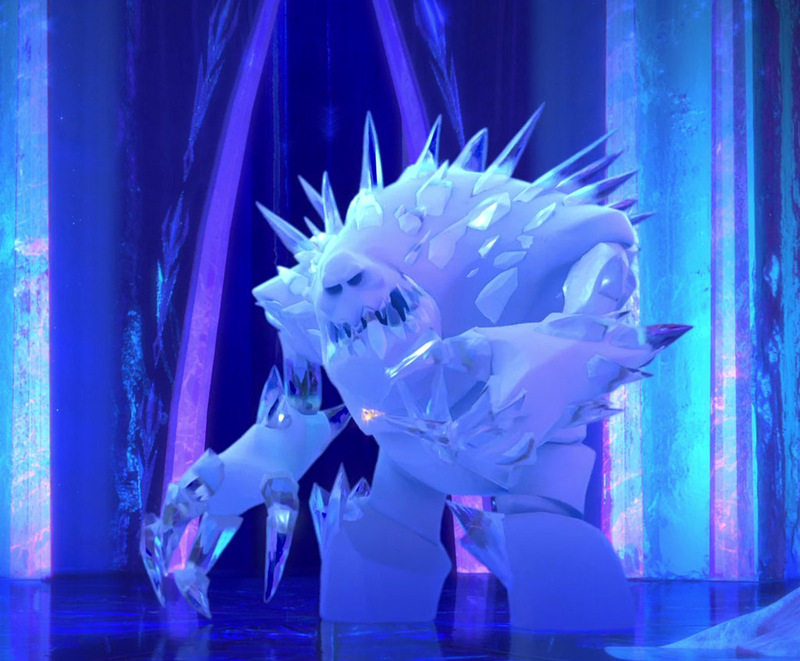 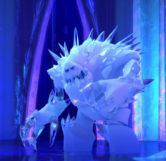 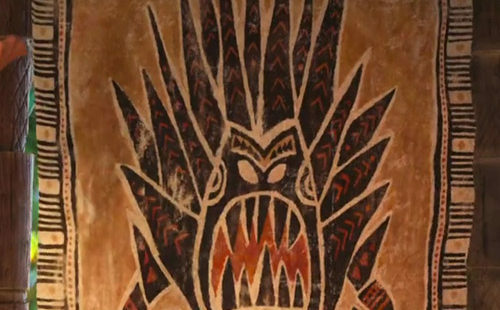 The very first monster that is revealed, with a large number of spikes on it’s back, is actually a reference to Marshmallow, the giant ice monster from Frozen who guards Elsa’s castle.